Why can’t you be more grateful? It’s likely at some point you’ve heard this remark from a parent, grandparent or have even uttered these words to a child yourself. (Or even worse, a partner!). Our need to see gratitude in others is a huge part of us seeing that person also as a loving, caring person. 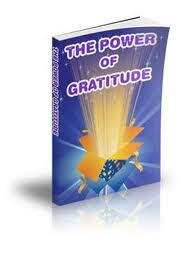 Having gratitude helps us to enjoy life more. It can break through huge barriers and reduce our stress loads, give us more confidence and help us to meet our goals- no matter how big they may be. There is no doubt that being grateful goes a long way. It’s just how to be grateful in times of stress or when suffering from disappointment or sadness that’s difficult.